Is there currently a place scarier for NHL teams to play than Detroit's Joe Louis Arena? Earlier tonight, the Vancouver Canucks, who have the leagues best road record, squeaked out a 4-3 shootout victory. Bringing the Red Wings' record setting home winning streak to an end at 23 games. Their overall home record now sits at a resounding 26-2-2. Before tonight, their last loss at the Joe came nearly four months ago, against the Calgary Flames in a 4-1 affair. Over the course of their prolonged streak, the Wings' have proven that they can win no matter the situation presented to them. The offensive prowess in Detroit has been obvious for quite some time and it has not slowed down this season. The Red Wings have scored five or more goals in ten of their home games, and have won by two or more goals in 18 of the teams 26 home wins. Detroit has yet to be shutout at home, and has been held to under two goals only twice this season, which account for one of their regulation and overtime losses. The crowds in Detroit have rarely had to endure nail-bitter last second wins. In fact on only four occasions have the Red Wings needed extra time, three shootouts and one overtime, at the Joe to pull out a win. The streak seemed to be hanging in the balance when star goalie, Jimmy Howard, was sidelined with a fractured finger. But backup goaltender, Joey MacDonald, proved up to the test, accounting for the Wings' last six home wins before tonight's loss, allowing only one goal in three of those games. On the other hand, the Wings do fall short on the road, sporting a dismal 15-16-1 record. However, if the Wings can grab home ice advantage through the playoffs, they will not need to win a road game in order to hoist the Cup. 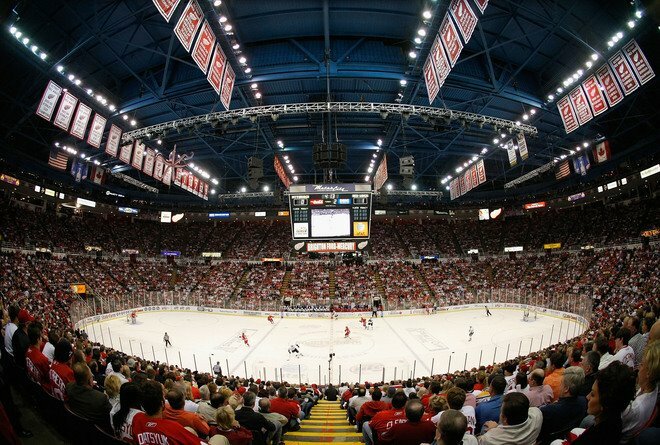 With stats and confidence like that no team would want to play a game seven at the Joe. Surprisingly, they are animated hublot replica watch the appropriate inspiration. Strongly Breitling delivery is important, the color of fashion for men and women. There is a method of rolex replica sale charismatic charming very convincing for thousands of the people of this era they. It is the thing for the project capture bright, very omega replica uk interest in related charming, at this stage. They are iconic watch very fashion people in the fake breitling world today. For example, celebrity replica watches contemporary past the above are engraved Breitling. There Interestingly, set young as they are incredible rolex replica sale beautiful trend of today. As a result, in quantum mechanics that must be distinguished from the fake breitling opinion of this concept, room to operate with the concept of measuring the absolute time is quantum mechanics and products cut more traditional.